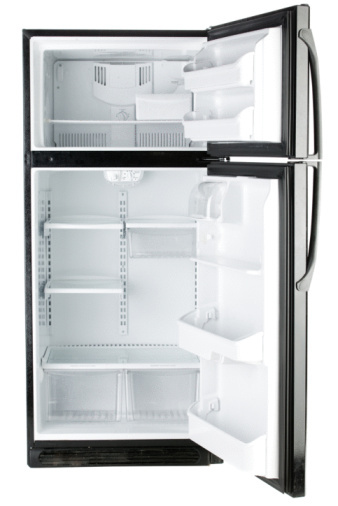 The General Electric (GE) Profile refrigerator is leveled by adjusting the rollers on the front of the unit. This process needs to be done when the refrigerator is first installed and then again if the refrigerator is moved from its original location. 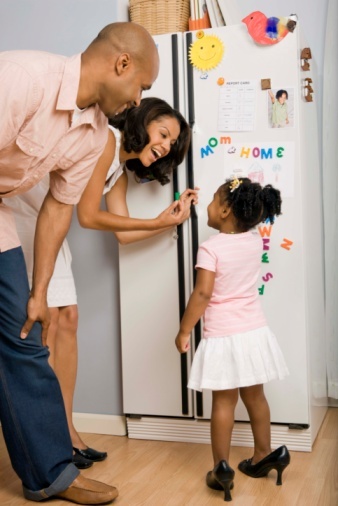 Basic mechanical skills and a screwdriver are all that is needed to level the refrigerator and adjust the rollers to allow the doors to close properly. Grasp the base grille on the bottom of the refrigerator front. Pull the grille off with firm, but gentle tugs until the grille comes away from the refrigerator body. Insert the screwdriver through the upper hole in the refrigerator frame above one of the rollers. Turn the adjusting screw clockwise to raise the roller. Turn the screw counter clockwise to lower the roller. Repeat as necessary for the other front roller. Adjust the height of the front rollers until the refrigerator is standing solidly on the floor. Adjust the rollers until the refrigerator doors close properly. The doors, when left open about 45 degrees (halfway), should gently close by themselves. If the doors hang open or swing open wider, lower the front rollers equally. If the doors swing closed with too much force, raise the front rollers equally.